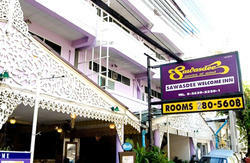 Bangkok home stay is the hidden gem of Khaosan road. 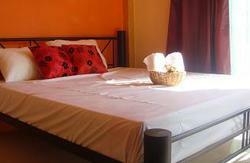 Situated just off the main strip it's in the prime location, minus the noise pollution. Hari Panta, the manager, is an expert in urban accommodation and can speak in 5 different languages, meaning there's no need to waste time or money on travel agents. To top it off, the hotel is completely unbeatable in terms of room price/quality ratios with standard dorms starting at 200b only for online booking. With windows and cline room. Tours in Nepal ,Tibet and Bhutan are available as well. If you need any information regarding South East Asia, just ask the manager!